Organizations continue to recruit at Whitman this semester – on campus and via the NEW Virtual Recruiting program sponsored by the SEC. Amazon, NW Mutual and College Pro shared programs for internships, summer business opportunities and post-grad positions last week. Coming up, we’ll hear about roles in marketing, finance, consulting, business analytics, content strategy, human resources and more. Paid internship programs are available at most; post-grad, full-time positions are on the table for all. February 12th – Koru | Reid G02 | 12:00, Lunch Provided – Over 90% of Whitman alumni who have participated in the Koru program have been hired into full-time positions within 3-months of completing the program. Join this workshop to learn more about Koru and get a taste of what they do. RSVP here. Interested in a one-on-one interview with Courtney Sanford ’12 from Koru? Sign-up for an interview time here. February 18th – MedBridge | Reid 110 | 12:00, Lunch Provided – One of the fastest growing medical tech companies, MedBridge is seeking smart, talented seniors for openings in finance, marketing, client services, and more! Join this in-person session with Sarah Colton ’11 and recruiters to hear more about this rapidly growing organization, their openings and internship opportunities. RSVP here. 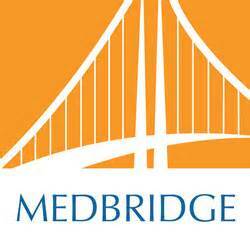 Interested in a one-on-one interview with MedBridge? Sign-up for an interview time here. February 20th – The Spur Group | Reid G02 | 12:00, Lunch Provided – The Spur Group likes hiring at Whitman. Currently, almost 20% of their staff are recent Whitman graduates. Join this info session with Andrew Hawkins ’13 and Sylvie Luiten ’12 to learn more about the organization and how YOU can ace your next interview. RSVP here. Interested in a one-on-one interview with The Spur Group? Sign-up for an interview time here. And yet to come… Facebook, PitchBook, Porch, Brighton Jones, Zulily and more! Stay tuned to the SEC Events page for times, locations and more recruiters, or e-mail sec_info@whitman.edu for more info.